Having a fridge is nice, but it’s better if you are not beholden to it. It’s a useful tool that can save quite a bit of time. 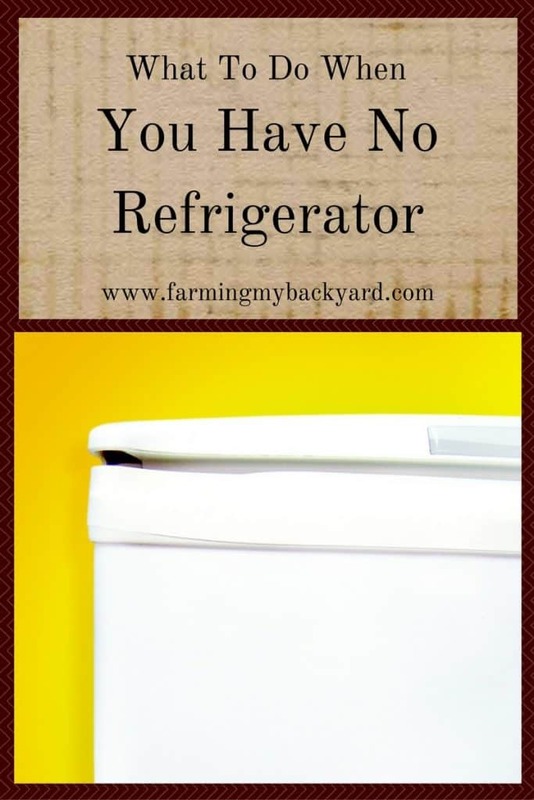 Even if you aren’t interested in living without a fridge full time it’s good to know how to survive with out it. We still use the skills below in many different scenarios, especially to save space in our fridge. Here are some of the guidelines and strategies to keep your food from spoiling when you have no refrigerator! Store greens with their stems and place them in a jar of water for a day or two like you would cut flowers. Do the same with celery, leeks and fennel. Wrap herbs in a damp cloth and place in an airtight container. (These first two tips I learned from My Plastic Free Life on how store produce without plastic). Store avocado, cabbage, unhusked corn, cucumber, sweet peppers and eggplant on the counter for a few days. Keep citrus, dates, uncut melons, nectarines, peaches, pears, peppers, and tomatoes on the counter for a week or two. Store apples, garlic, onions, potatoes, and squash in a cool dark place such as a root for a month. Mother Earth News has a guide to storing produce in root cellar conditions. We do not have a root cellar, but during the winter our garage stays at the correct temperature. Perhaps you can close off a spare bedroom and keep it cool for long term storage. If carrots get rubbery, peel and soak in water until they are crisp again. Buy the freshest produce you can that hasn’t been refrigerated yet (for example, a farmer’s market or CSA). Don’t wash your vegetables before storing. Keep them as dry as possible. Grow your own sprouts or microgreens. (Read more: How To Grow Awesome Microgreens Without a Garden). Can as much produce as you are able for long term storage. Eat fresh foods when they are in season and leave them growing in the garden until it’s time to eat. Try try dehydrating fruits and vegetables and store in glass jars in your pantry. (Read More: Here Are The Fundamentals Of Dehydrating Foods Without Electricity). Dry meats. Here’s how to make hamburger rocks with your ground beef. You can also make oven jerky. Go to the store more often and buy smaller servings. Cook a big crockpot of meat on low. Put leftovers back into the pot and turn it into soup for the next day. Buy vacuum sealed salami and pepperoni. Leave eggs unwashed until right before use. Ketchup, mustard, and vinegar based dressings don’t need to be refrigerated if you always use a clean utensil when serving out of the bottle. Buy small bottles of jam and maple syrup. They will last for about two weeks before getting moldy. Use the small packets of yeast instead of a jar. Or even better, make sourdough instead! Butter and hard cheeses will last for two weeks in a cool spot. I got up the courage to do some experimenting with yogurt after reading this lovely guide to keeping food on a boat. I found that yogurt will last 6-7 days before molding. Drink milk the day you buy it or use it to make sour cream or kefir. (Read More: How To Make Sour Cream With Yogurt and How To Make Easy Kefir Cheese). Before I had the courage to completely unplug I looked for others who live this way as well. I was encouraged to find this discussion on Little Blog in the the Big Woods, about living with no refrigerator. I also connected with family members who successfully dry camp during the summers with their children for an extended period. We certainly weren’t the first people in our day and age to forgo home refrigeration, and I’m sure I will not be the last. Research food preservation and storage techniques and give them a try! It’s important to have the ability to feed and protect your family from food borne illness if you ever find yourself with no refrigerator. 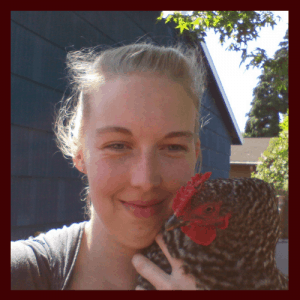 I just found your blog through Miss Minimalist – I am really enjoying your journey! We are making similar changes over here, so I am greatly encouraged. We have rid ourselves of dozens of car loads of stuff… and still working through more. We will move to the country in future, but for the next couple of years we want to start what we can in our city home. Living without a fridge is particularly fascinating and interesting to us – it is added to “the list”. 😉 You are an inspiration. Thanks! Aw, thanks! Isn’t it crazy how the stuff just seems to keep coming? I just dropped of a full box yesterday and I just don’t know where it comes from! Everyone think we are crazy for living without a fridge but it’s been fun and I’m certainly noticing the difference in the electric bill. Fantastic information! I am saving it in my to do’s. I also found your site through miss minimalist. Keep up the good work! Thanks for this, Kathryn! I’m trying to figure this one out – but I’ve always had a fridge!! It didn’t even occur to me that I could live without one until recently. Off to learn more! You’re welcome. Having a fridge is nice, but it’s ALSO nice knowing what to do without one!